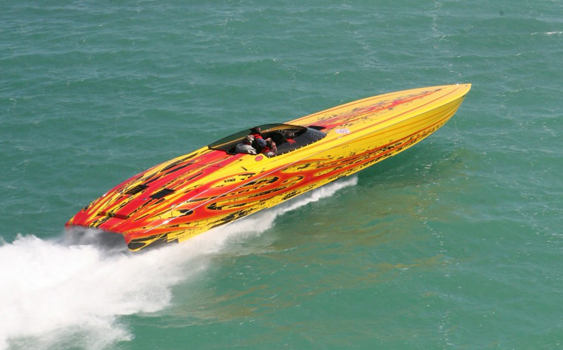 More often than not, especially over the past several years, the interiors produced for the Skater Powerboats catamarans coming from the Douglas Marine factory in Douglas, Mich., have been designed and created by the talented team at Appearance Products in Grand Rapids, Mich. 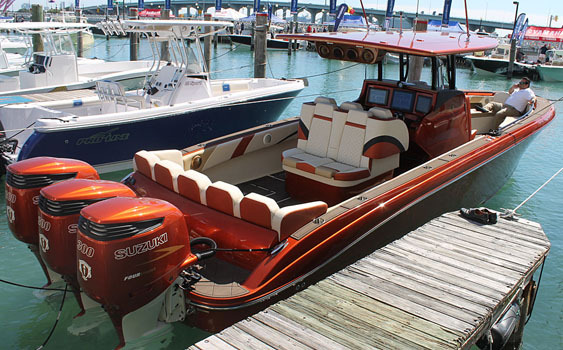 In fact, the company, which handled the interiors of both Skater catamarans that were on display at the Miami International Boat Show in February, has been a go-to Skater interior company for almost 20 years. And, after all this time and many mentions of the company in stories throughout the years, I finally connected with the main man behind Appearance Products, Craig Ellis, for an enlightening conversation regarding customer service, hard work, quality control and enjoying boats, both fast and slow. It was hard to believe I hadn’t interviewed Ellis before, but then I did a Google search to find more information about him and there wasn’t much on him so I didn’t feel as bad. And if you ask him, that’s pretty much how he likes it. Appearance Products does have a website, but it’s mainly a product showcase and contact page, not much else. None of what his company does—including the sign and awning part of the business—is for the attention. 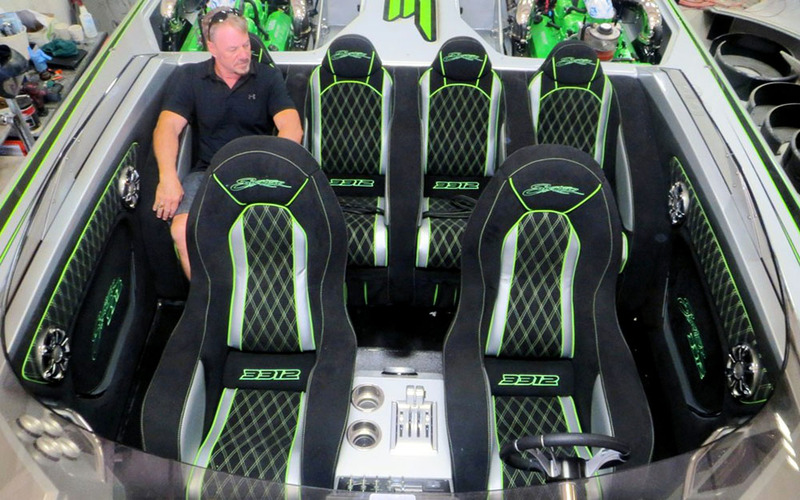 Ellis and his team don’t just handle new boat interiors, they gladly tackle boat restoration projects not to mention interiors for automobiles, RVs, motorcycles, trucks, helicopters and other aircraft. 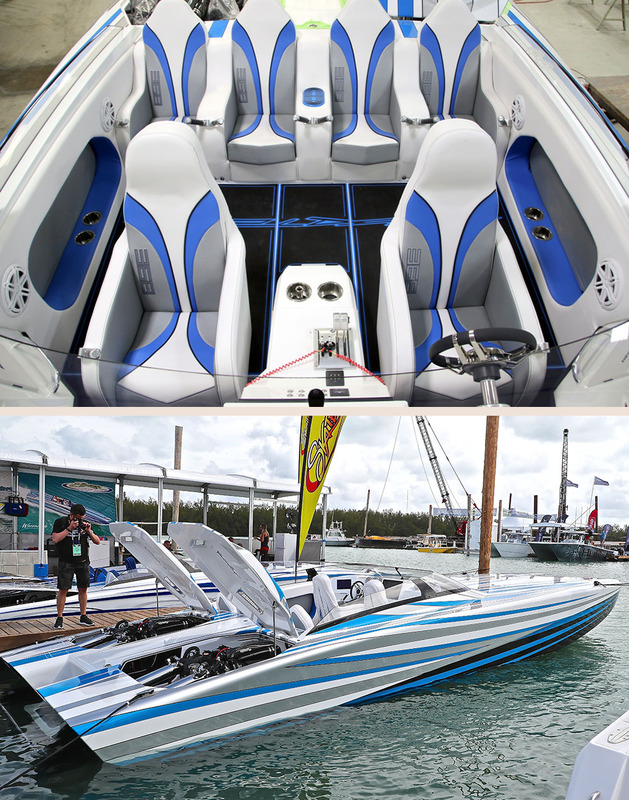 This new Skater 368 catamaran that was on display at the Miami International Boat Show features an interior from Appearance Products. Photos courtesy Paul Rose and Pete Boden/Shoot 2 Thrill Pix. “We’ve been at this for 35 years now and we still love what we do—we love coming to work, dealing with such cool customers and attempting to improve day in and day out,” Ellis said. “I’ve been together with Peter Hledin and Skater for almost 20 years and his stuff always comes first. We take pride in finishing jobs when we say they will be finished. If I tell you it’ll be done, it’ll be done even if we have to put in extra hours to complete the job. Most people know that about us. Ellis, who is an avid boater, admits that one of his biggest challenges is finding experienced sewers to employ. And of course, keeping tabs with his customers from around the country.